Foodies and fans from across the region can look forward to a mouth-watering 12 months ahead, as renowned Nottingham restaurant Hart’s launches a year of celebrations, with some very special events planned, to mark a milestone 20th birthday. Some as yet undisclosed occasions will be designed to set Champagne corks popping and the public talking with a combination of ground-breaking new ideas and a look forward to future trends. For those keen to know about event dates (and venues! ), the restaurant team advises following Hart’s on its social media streams and to sign up for the newsletter. Some events will only be able to accommodate limited numbers so speedy sign up will be recommended. 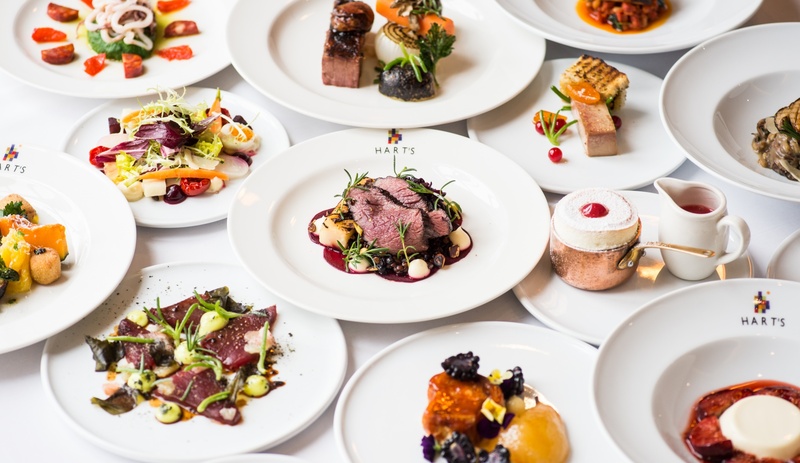 Serving connoisseurs of cuisine since 1997, Hart’s has built an amazing reputation over the past two decades, recognised by regular award wins and acclaim from some of the toughest food critics, including the late A.A. Gill. Always known for quality, a fierce focus on finding the best local ingredients (now employing their own foragers) and an absolute passion for every dish that leaves the kitchen, Hart’s signature style of modern British cooking has been a constant – and is just one of the elements that will be celebrated as part of the anniversary. Founder and owner, Tim Hart, said, “Each event in the programme has been created to showcase the best of Hart’s over the years and strike a chord with customers both old and new. From new menus to exclusive parties and plenty more in between, it really is going to be a special year! Hart’s encapsulates the spirit of good cooking and fine dining. Fresh seasonal produce is cooked simply but to perfection and it is this attention to detail which sets it apart. Over the years previous head chefs such as Mark Gough and Gareth Ward developed dishes that have since become Hart’s classics – beloved and expected and only tweaked as better ingredients are discovered and with a nod to the current season. The 20th anniversary year starts in in November 2017, with regular events taking place throughout 2018 – look out for the team popping up in some unexpected places with some new ideas. To be kept up to date with plans, please follow @HartsNottingham on Twitter, @Hartsnotts on Instagram or sign up to the newsletter via the website www.hartsnottingham.co.uk.